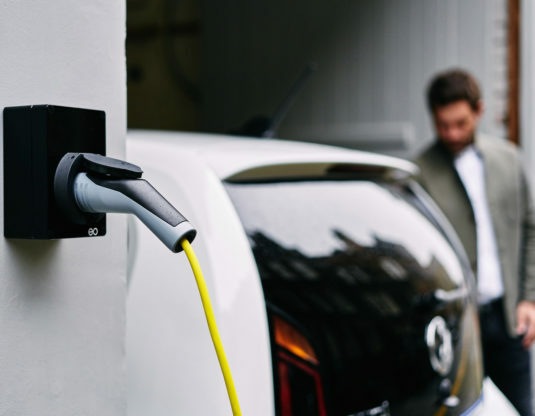 One question that potential buyers of electric vehicles (EVs) often ask about is the difference between AC and DC charging – and which is best. The quick answer is that actually all EVs are charged through DC (Direct Current) but, a little confusingly, the UK’s National Grid transmits power through AC (Alternating Current). There are DC charging points and AC charging points but what happens is that with AC chargers, the vehicle’s onboard charger converts the power to DC, feeding it to the battery. With DC charging points, the charging point itself converts AC to DC before transmitting the power directly to the vehicle battery. The difference between the two charging options is generally the time it takes to fully charge the EV battery, with DC chargers a faster method and often seen in commercial environments, rather than homes. With a domestic supply that is nearly always single phase (230V) it is not possible to generate a charging rate of more than 7.4kW so charging takes time. With 3-phase connections in commercial settings, the power rating is three times higher at 22kW but faster charging of between 50-120kW can be achieved with rapid DC chargers. There are three charging options for the EV owner – rapid, fast, and slow. Each option has a specific set of connectors designed for low or high power and for AC or DC charging. You usually find rapid chargers at places like motorway services and, delivering DC, they can recharge an EV battery to around 80% in 20-40 minutes, depending on battery capacity and residual charge. However, only EVs with the necessary technology can take advantage of rapid charge. For example, Tesla cars have a Supercharger facility where multiple chargers deliver up to 120 kW direct to the battery. At the moment, many UK Tesla owners use adaptors that allow them to connect to 50 kW rapid units fitted with a CHAdeMO connector, more commonly found in the UK. In contrast, other car models can harness CHAdeMO or Combined Charging System (CCS) standards that deliver power at 50 kW (125A). Good news is that future DC units should deliver 150-350 kW and bring down charging times massively. The CCS technology can also deliver DC charging at a maximum of 200 kW with the potential in the future to provide up to 350 kW. EV models like the Nissan Leaf, Mitsubishi Outlander PHEV, and Kia Soul EV have the CHAdeMO rapid charging function while EVs like the BMW i3, VW e-Golf, and Hyundai Ioniq Electric have CCS-compatibility. Dropping down a notch on the charging scale are the range of fast chargers, delivering AC at either 7 kW or 22 kW to the onboard charging unit that converts to DC. 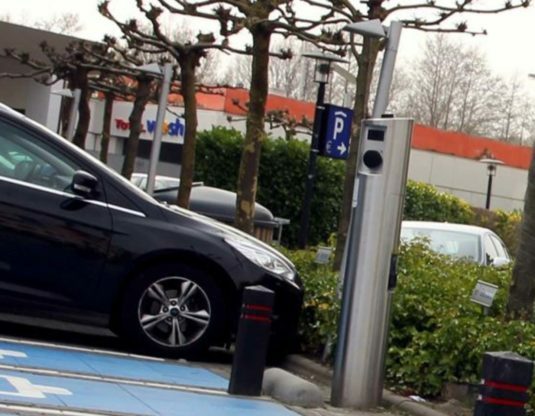 These types of fast chargers are deployed largely in commercial settings like supermarkets, car parks and leisure centres. With the higher-rated fast charging facility, EVs with appropriate onboard chargers can expect a full charge of a 30kWh battery over 3-5 hours and a smaller 22kWh models in 1-2 hours. Not all EVs can accept 7 kW or more so will just draw the maximum power accepted by the charger. Mostly you will find fast chargers rated at 7 kW and untethered, particularly in the home, providing greater flexibility for connecting with differing cable types. Workplace 7kW fast chargers will usually have an integrated Type 2 connector cable. However, it’s true that slow chargers are currently a very popular way of charging EVs, particularly in the home, although they are also found in commercial and public environments. These domestic units are often rated at up to 3 kW while those deployed in public areas – lamp-post chargers for example – are rated at 6 kW. A full charge takes a leisurely 6-12 hours, depending on the EV model and type of charging unit.